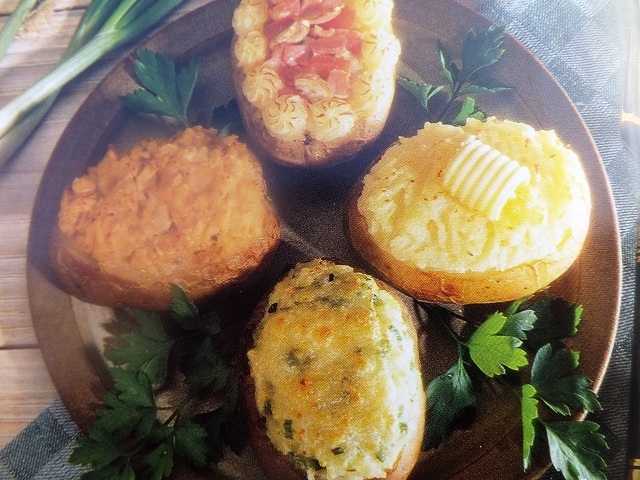 Jacket potatoes provide a basis for variety of tasty fillings. Each filling makes enough for four potatoes. Choose one and enjoy a really tasty and interesting snack. 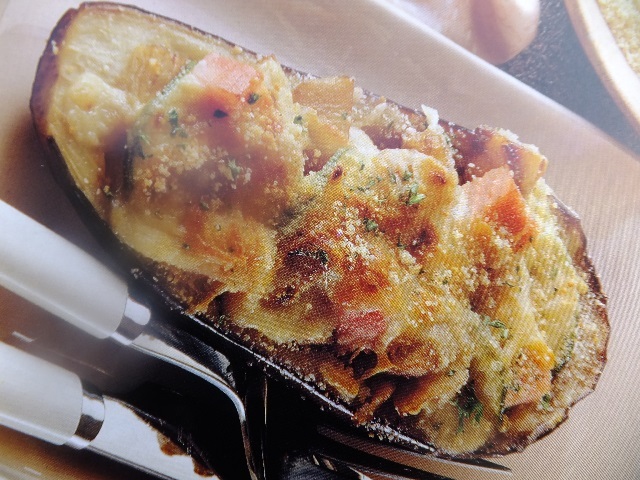 How to make savoury jacket potatoes? Savoury jacket potatoes recipes and ingredient shared on our page. 1. Preheat the oven to 200 C Gas 6. Prick the potatoes all over with a fork then bake for 1 hour, or until a skewer can be pushed easily into them. Cut the potatoes open, scoop out the centres, mash with the butter and milk and season with salt and pepper. 2. For the cheese and onion filling: place the butter and onions in a pan and cook until the onions are soft. Stir in the potato and half the cheese. Pile into the skins. Sprinkle with the remaining cheese and grill. 3. For the bacon and mushroom filling: melt the butter and cook the bacon and mushtrooms for 5 minutes. Put half the potato mixture into the skins and add half the bacon, mushrooms and tomatoes. Put the remiainder of the potato mixture into 2 piping bag and pipe 4 border around each potato. Fill the centres with the remaining bacon, mushrooms and tomatoes. Spoon the egg over the top and put potatoes back in the oven until heated through. 4. For the salmon filling: drain the salmon and discard any skin and bones. Mash with the potato, mayonnaise, tomato ketchup and sesoning. 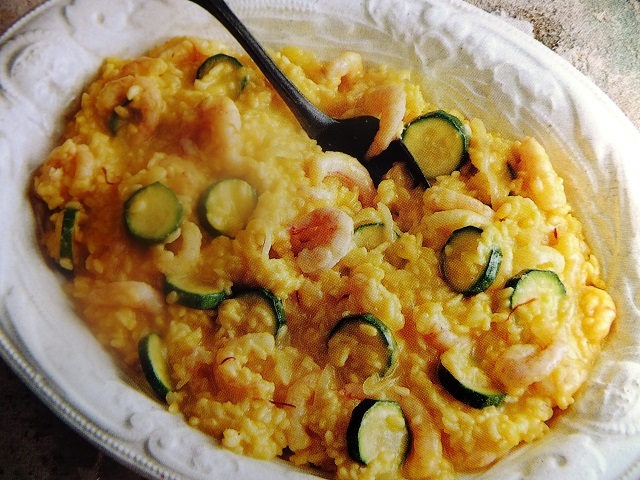 Pile into the skins, reheat in the oven, garnish and serve. Enjoy your meal!